(October 01, 2013 - New York, NY) The Clocktower Gallery presents Dale Henry: The Artist Who Left New York, an exhibition of painting, sculptural works and writing by Dale Henry, exhibited in the historic galleries of the Clocktower. The exhibition presents bodies of work not seen since the 1970’s, and in many cases, never shown. Henry was a productive and respected figure in New York from the mid 1960’s to late 1970’s. His works were shown in renowned institutions including the Clocktower Gallery and P.S.1 Contemporary Art Center, and his gallerist, John Weber, was one of the best at the time. Henry worked primarily with paint, resin, glass and wood, creating diverse and challenging post-minimalist and conceptual bodies of work that not only embodied key artistic concerns of the period, but were often precursors. Many of Henry’s artworks were conceived as parts of a cohesive series and installed site-specifically, while exploring, experimenting with, and deconstructing medium and light. Henry wrote extensively about his inspiration from Western painting and history, and his work’s resulting conceptual basis. Dale Henry, Wet Grounds, 1971, installation at the Clocktower Gallery. 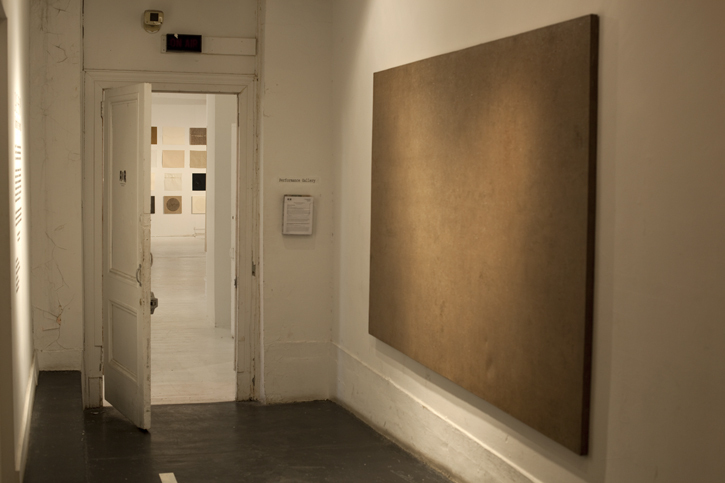 One of Henry’s most unusual and memorable works was his installation at P.S.1 for the 1976 inaugural exhibition, Rooms, where the artist used decaying wall paint, carved walls and Fontana-style slits in the canvas to create site-specific paintings. He was one of the few painters included in the exhibition, and one of the few to create not a painting, but a true, three-dimensional installation. In spite of his artistic achievements, Henry became increasingly disenchanted with the commercialization of the art world, and felt that he was underappreciated and misunderstood by critics, dealers, and even his peers. In 1986, he permanently left New York for the remote town of Cartersville, Virginia. There, Henry all but stopped making work, instead dedicating the last decades of his life to obsessively inventorying, annotating, packing, and organizing his oeuvre, with the goal of bequeathing it to someone who would take it on as a project, and keep the work outside of any commercial appraisal or venture. Henry eventually determined that Alanna Heiss, and the Clocktower Gallery, should be this individual. Henry gradually cut all ties with all but a handful of friends and peers, and died in September, 2011, a nearly forgotten artist. Dale Henry, Stretcher Bar Drawings, 1976, installation at the Clocktower Gallery. Photo by Dave Potes. Dale Henry: The Artist Who Left New York opens at the Clocktower Gallery on Tuesday, October 29th, 2013, and is curated by Alanna Heiss, Clocktower Founder and Director, with Associate Curator Beatrice Johnson. Dale Henry, Camera Obscura, 1996, installation at the Clocktower Gallery. Photo by Dave Potes. Dale Henry was born in 1931 to a humble, rural family in Anniston, Alabama. Throughout his childhood, Henry lived on and off with eight different families in Alabama, Nevada, Oklahoma and Michigan, and attended twelve schools. At 17, he left home and hitchhiked to Houston to begin working as an artist. He took life-drawing classes at the Houston Museum of Fine Arts, his only formal artistic training. 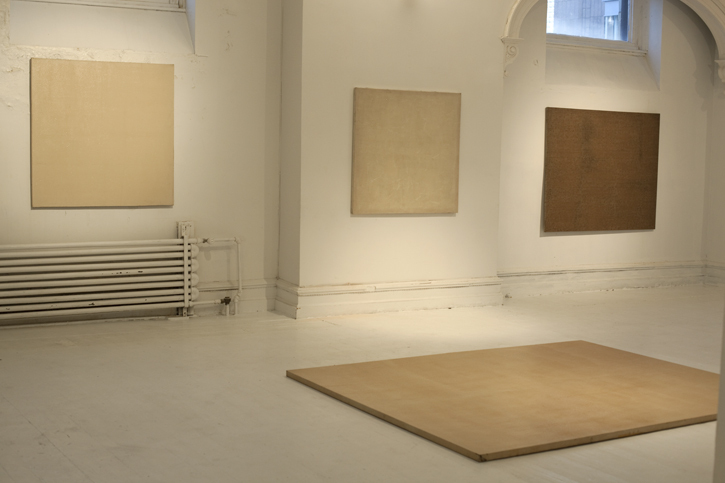 In 1951, he moved to San Francisco, where he began to exhibit his work through the support of curator Ross Smith. Henry moved to New York in 1967. 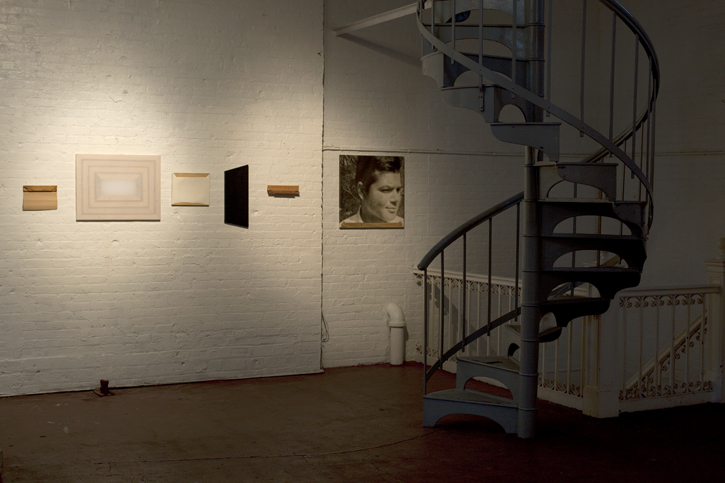 Until 1986, Henry's work was shown at Fischbach Gallery, the John Weber Gallery , the Clocktower Gallery and P.S.1 Contemporary Art Center, among others. Henry’s last show, a site-specific installation entitled Naturalism in Late Twentieth Century, was presented at Sarah Lawrence College in 1985, and curated by Henry’s good friend Marcia Hafif. From 1970 to 1986, Henry was a professor at the School of Visual Arts. In 1977, Henry moved part-time to Bullville, NY, and in 1986, left New York permanently for Cartersville, VA, where he died in September, 2011.